The word Chakra is Sanskrit for ‘wheel’. Chakras are often described as energetic wheels or vortexes that spin at various points of the body. As the wheels spin they draw ‘Universal Life Force’ (you may know this as ‘Chi’ or ‘Prana’) into and through the body. 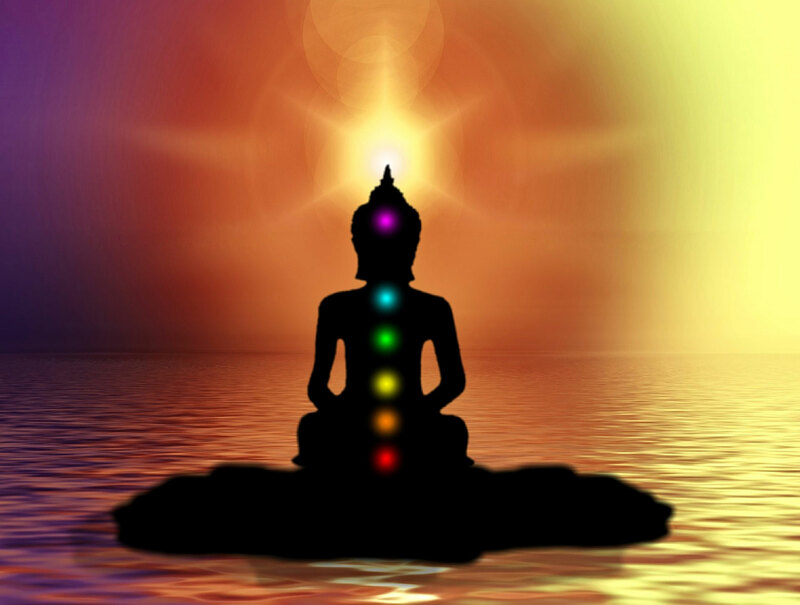 Eastern spiritual traditions tell us that there are 7 major chakras located along the spine in the human body. Chakras can become blocked, effecting the flow of energy through the body and creating imbalance. There are many ways to work with your own chakras to bring balance to your being. You can use guided meditation CDs (there are some really great ones on the market), sound, vocal toning, colour, aromatherapy and endless other techniques. We always stress that the right method is the method that is right for you. Using crystals on the body can be an excellent way to work with and balance your chakra system. Methods certainly vary from person to person and using your own intuition can be important. You may like to collect a small crystal for each chakra and lay them directly on the body where the chakras are located while you lay down to meditate. (Always make sure your crystals are cleansed before beginning and after use) You may simply rest crystals on the chakras while reading a book or resting and letting the crystals do their work without any conscious direction from you. Wearing crystals in the form of jewellery is another option- just customise chain length to sit pendants directly on chakras all day long. If you are aware of a particular chakra you would like to work with, for example the Third-Eye Chakra, you can even gently massage a crystal at this point (between your eyebrows) for a short space of time. If massaging crystals and minerals directly on the body always do your homework to check for any toxicity- some pieces are best not used in this manner, cinnabar would be one example. Copper based minerals like malachite too are best avoided in massage like this. Which Crystals Should I Use and Where? As the chakras are located along the spine you can choose to lay crystals either on the front or the back of your body (it’s fine to remain dressed). Lying down on your stomach or your back is equally effective and entirely up to you and what’s comfortable for you. Using your own intuition is fantastic, so if you feel that you want to use a single crystal on all the chakras that’s fine. If you are particularly drawn to a crystal that’s listed as being, say a Throat Chakra stone on a different chakra entirely, that’s ok too. The below list is a guide to crystals and minerals often used to assist with specific chakras. Crystals By Colour – What Do They Do?